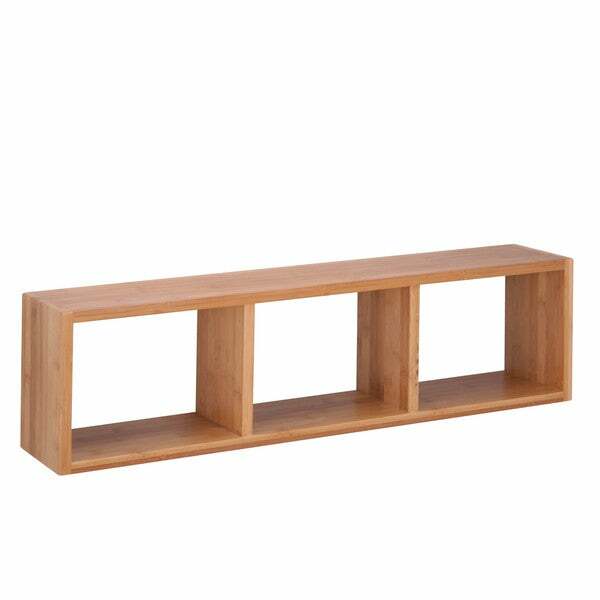 Honey-Can-Do SHF-04410 Triple Cube Wall Shelf, Bamboo. Take your organization up a level with this wall shelf from Honey-Can-Do. The cube design adds a decorative touch to your wall while also providing multiple storage areas. Reversible mounting option lets this shelf hang vertically or horizontally. Durable bamboo construction ensures this shelf can hold up to 15 pounds without failure. Mounting hardware is included.